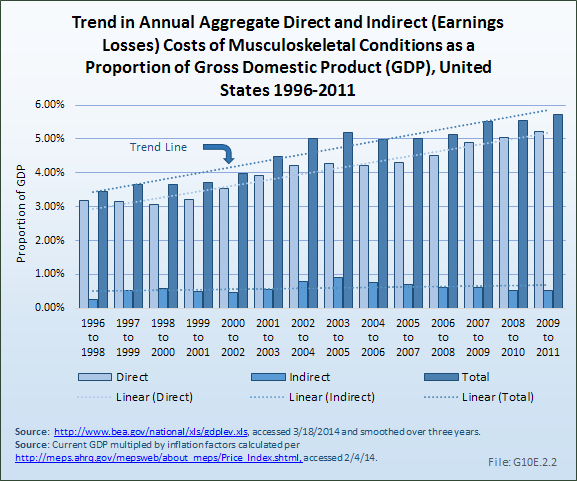 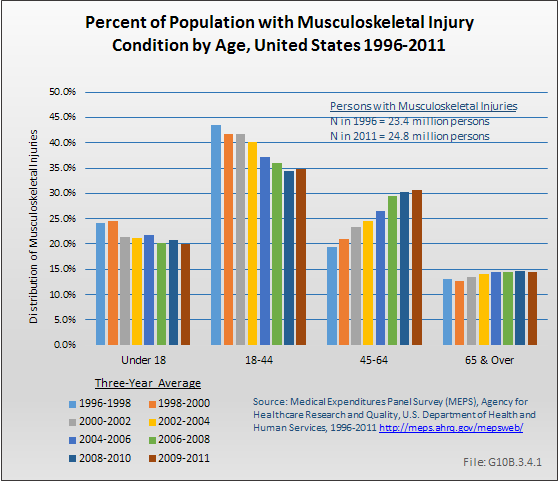 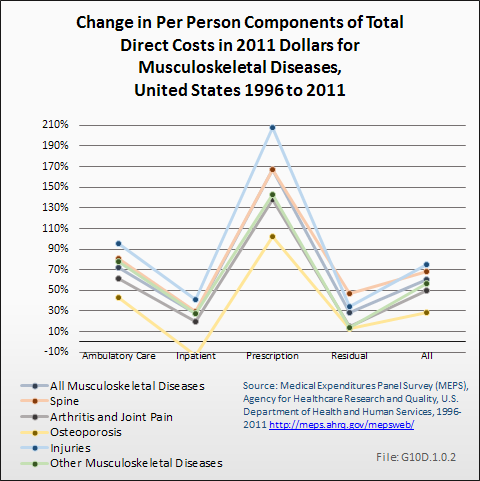 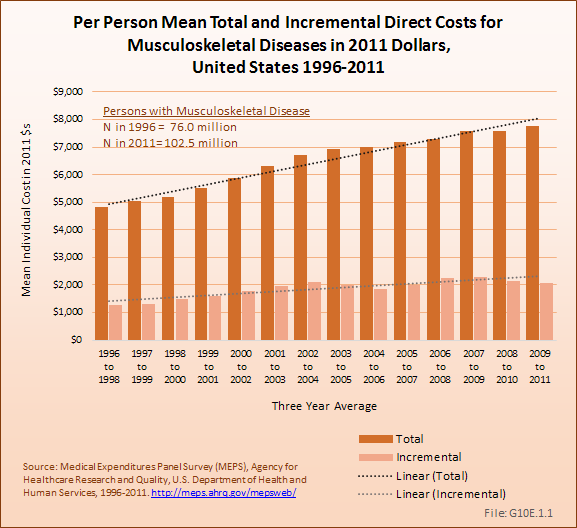 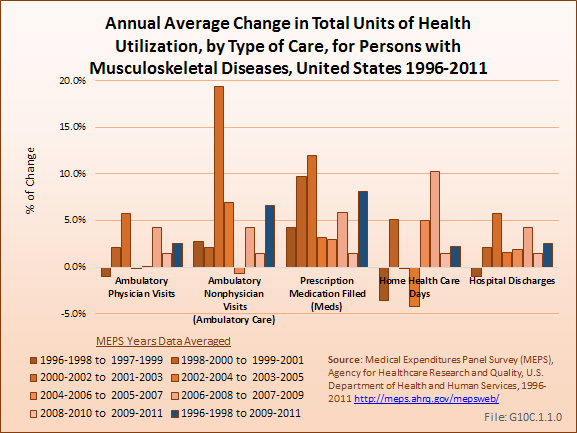 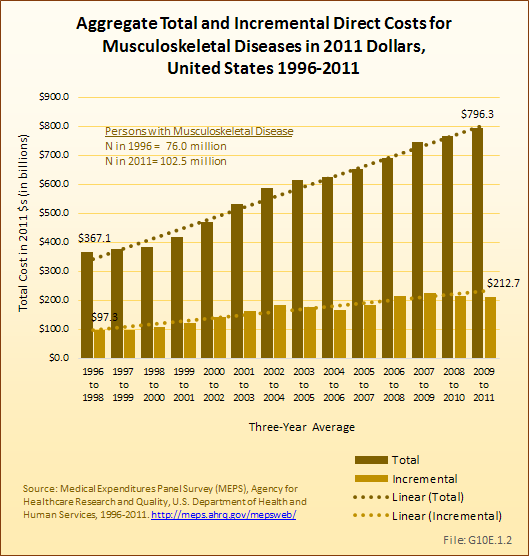 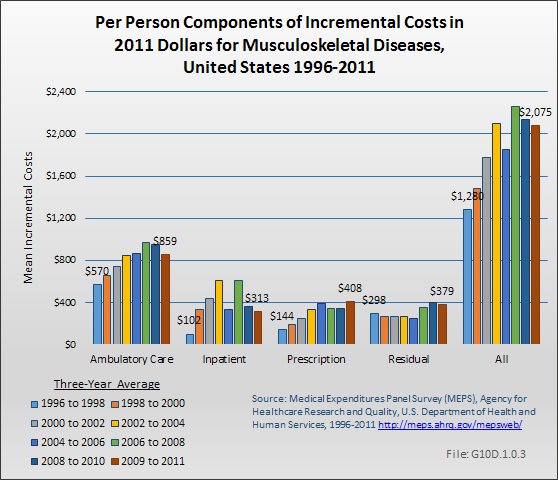 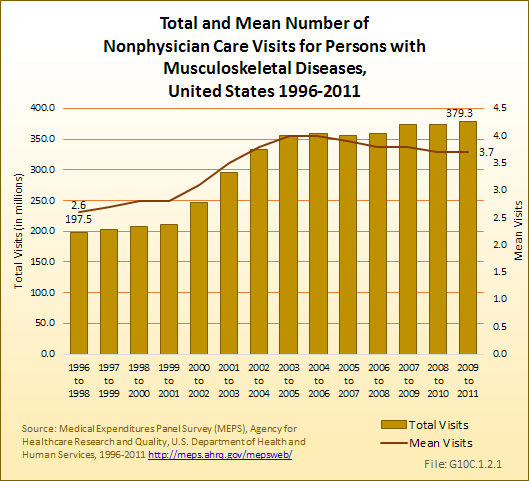 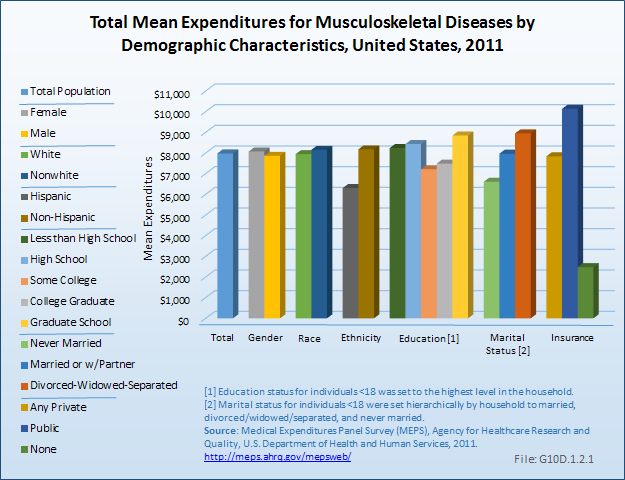 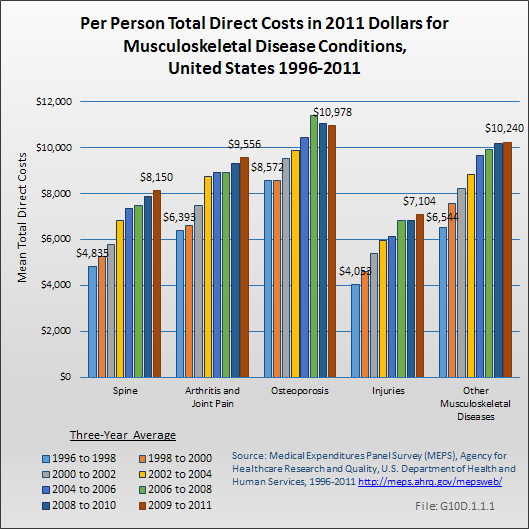 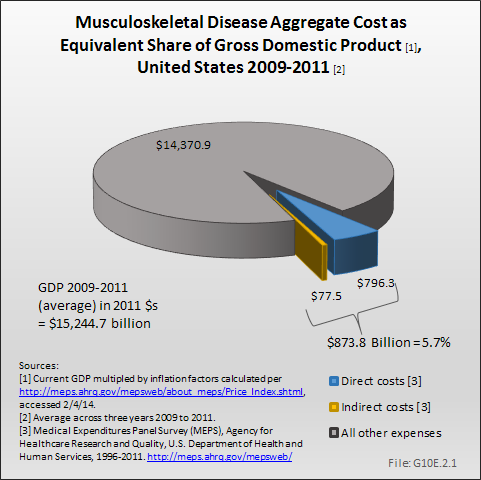 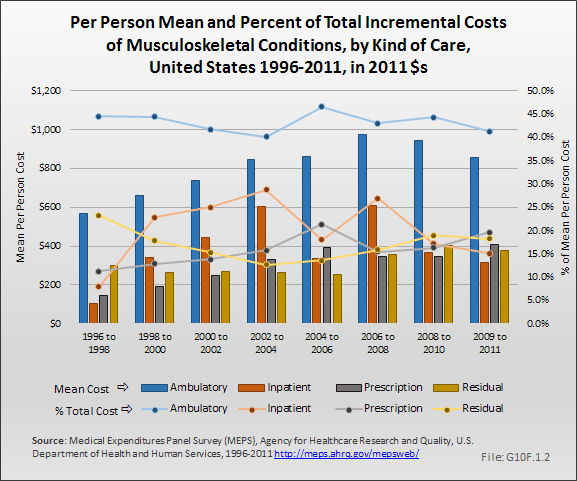 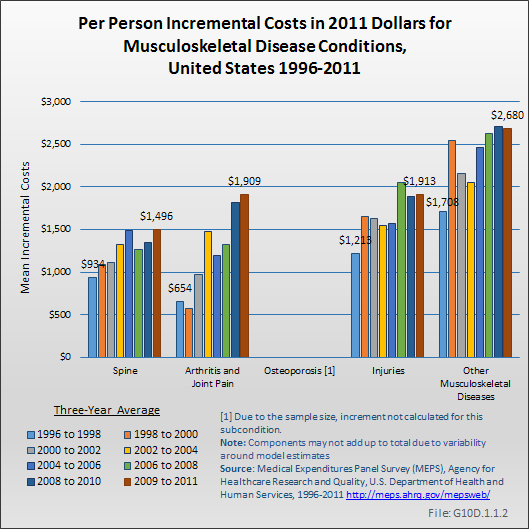 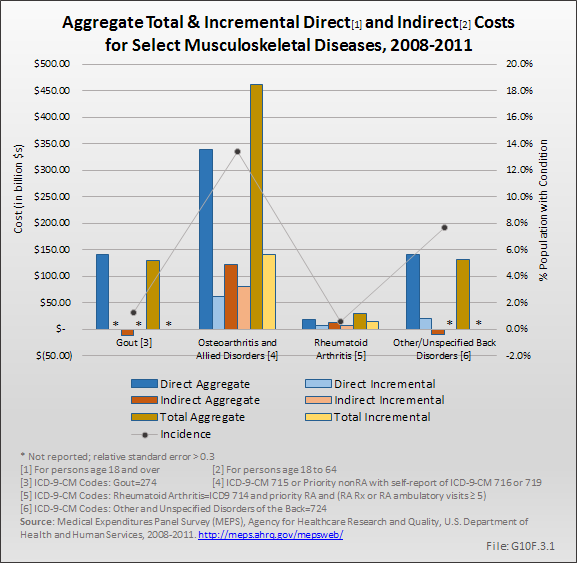 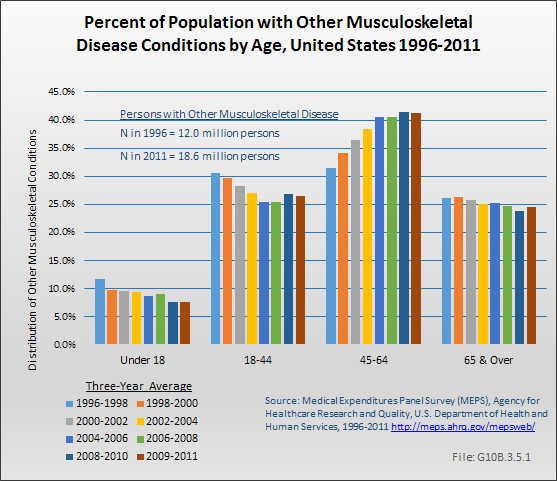 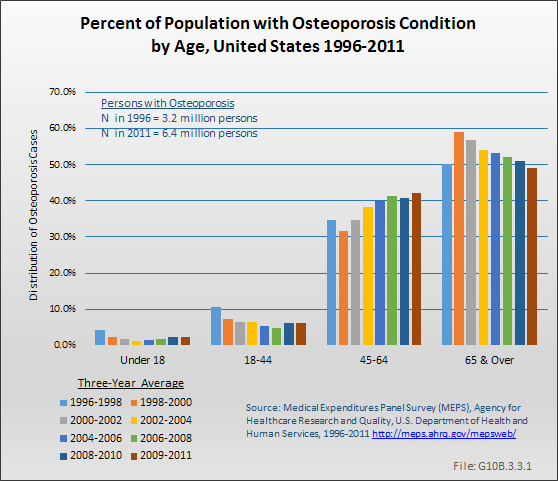 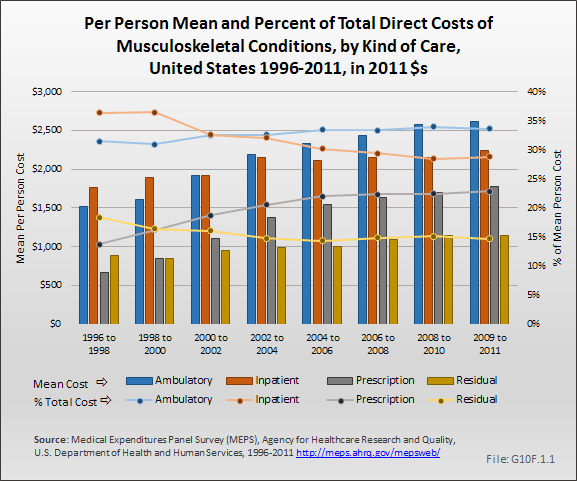 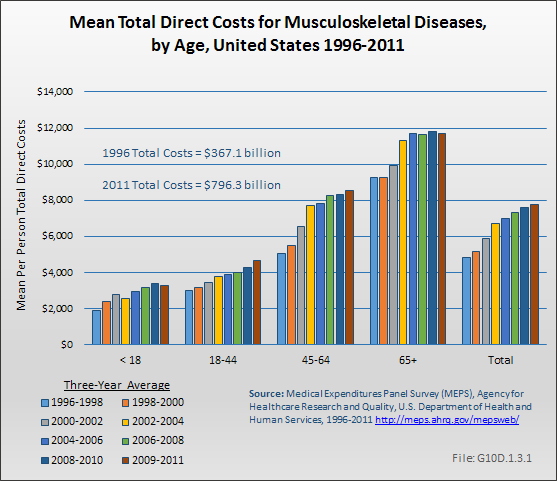 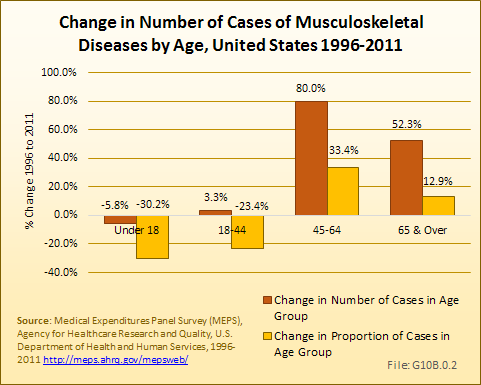 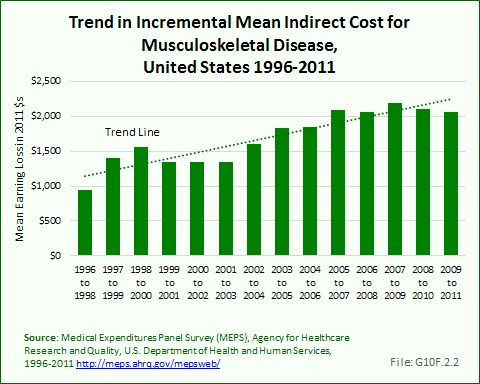 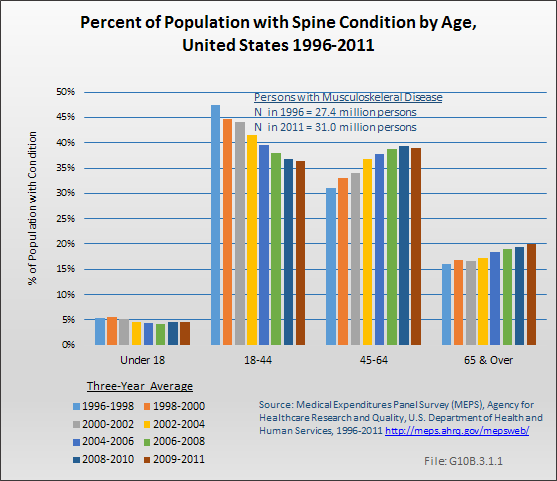 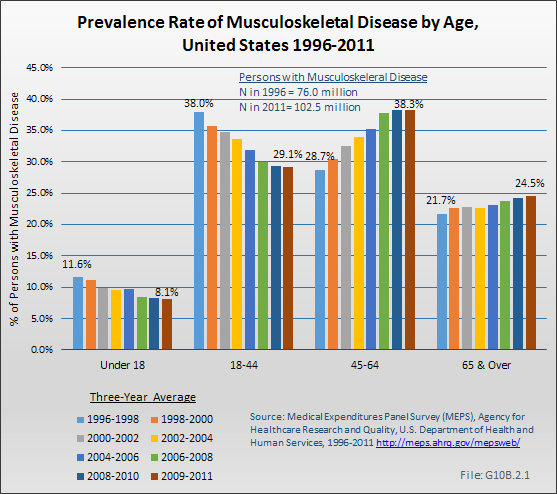 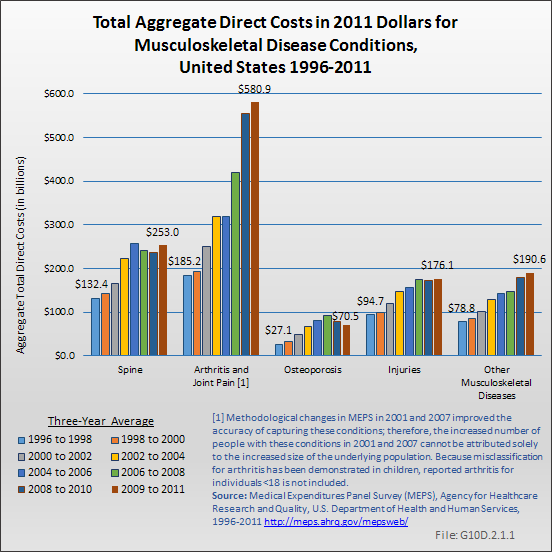 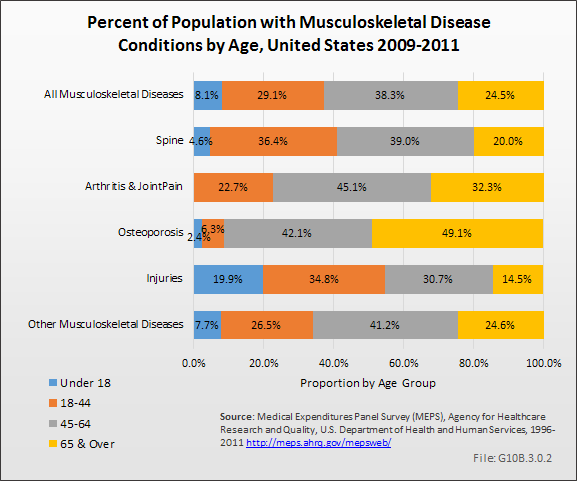 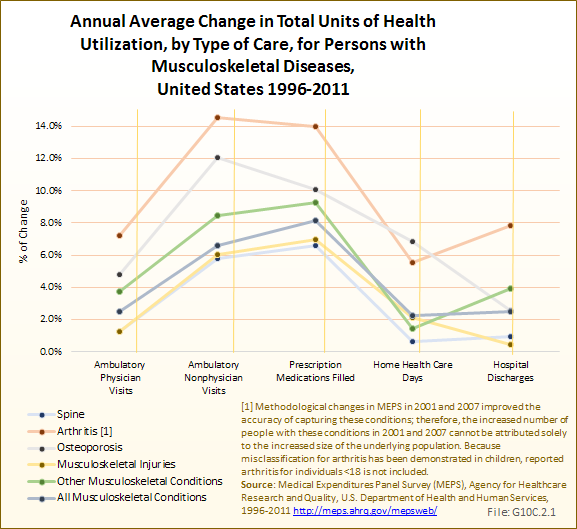 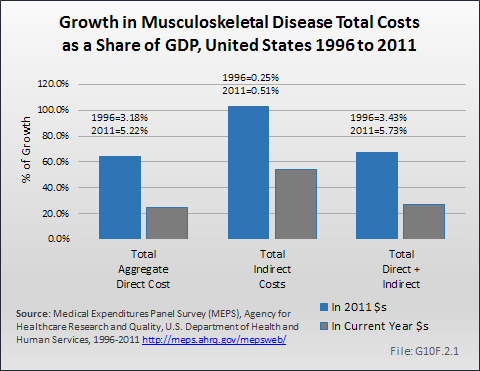 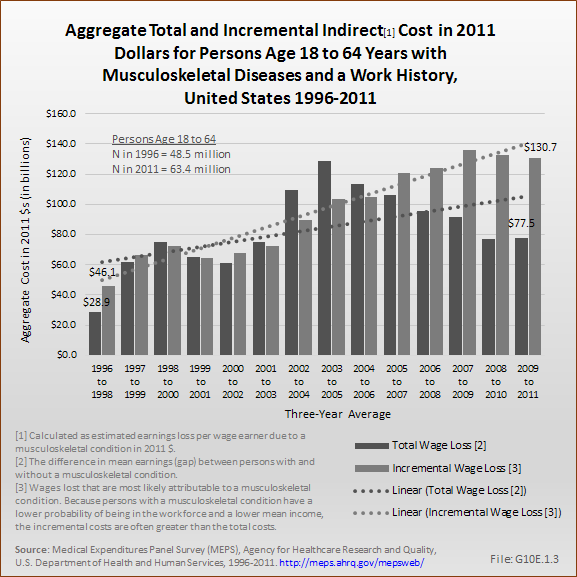 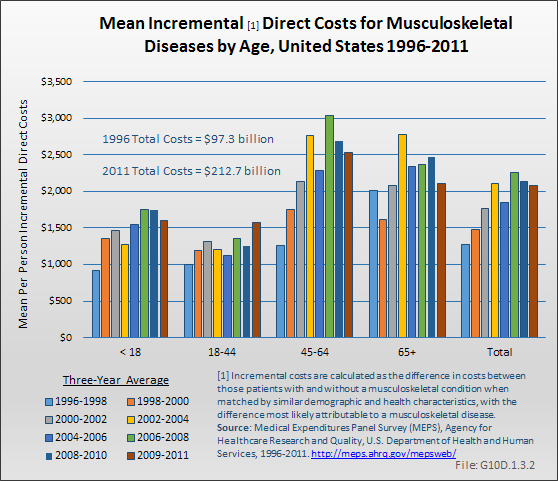 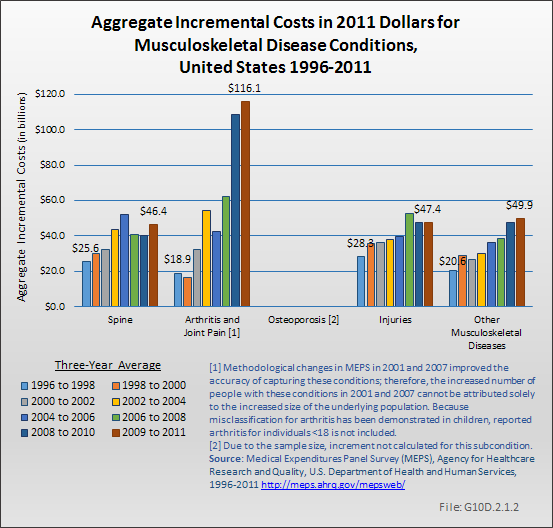 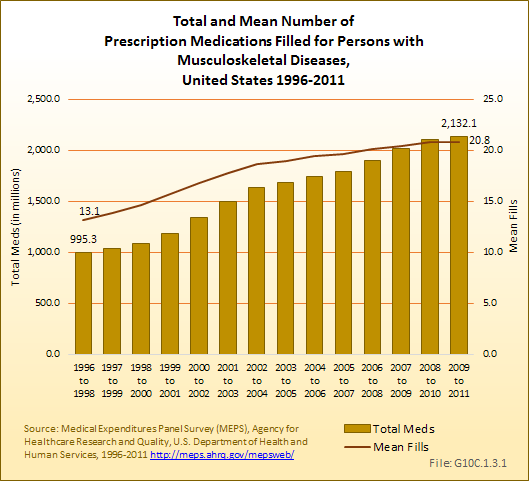 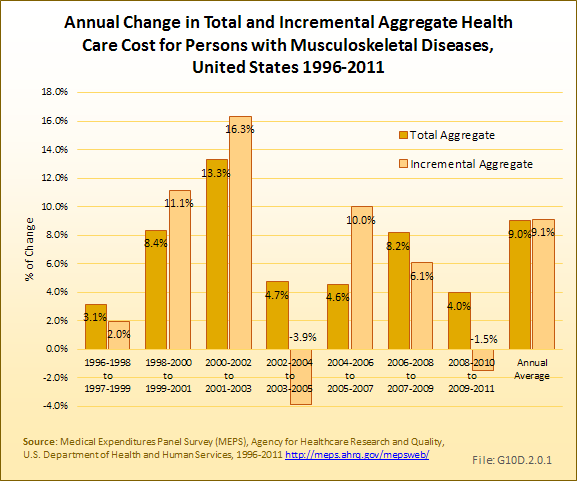 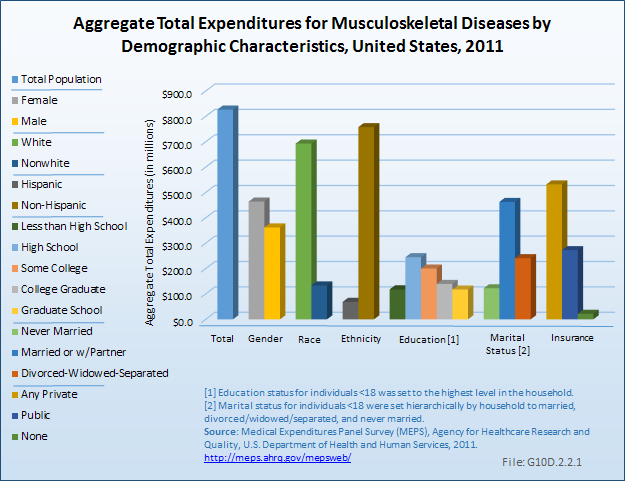 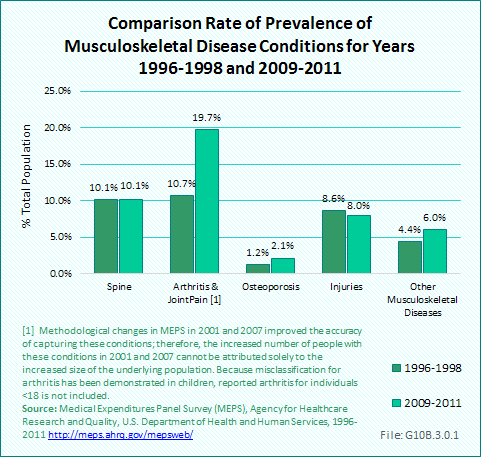 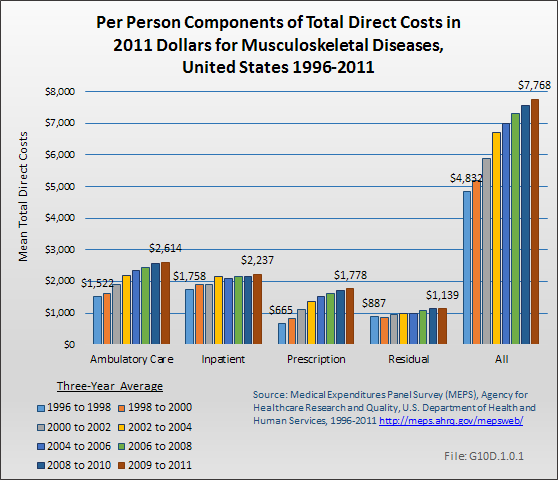 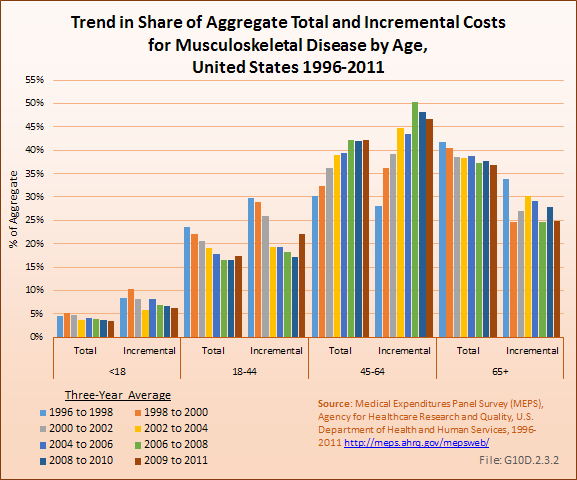 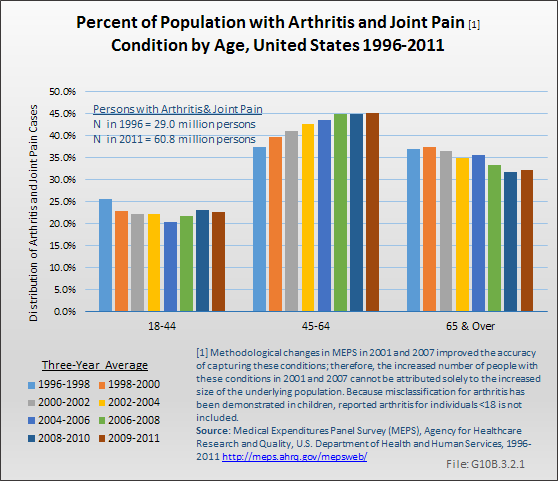 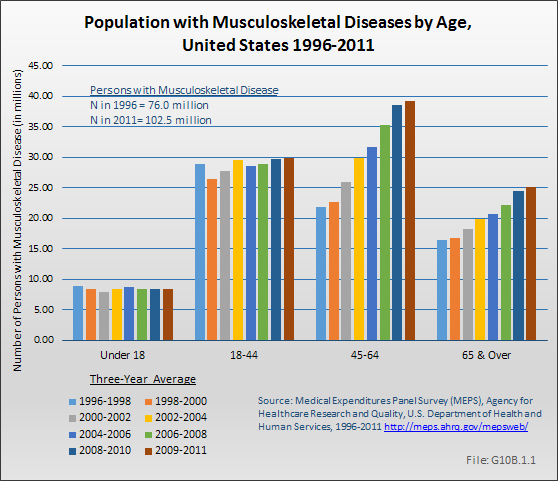 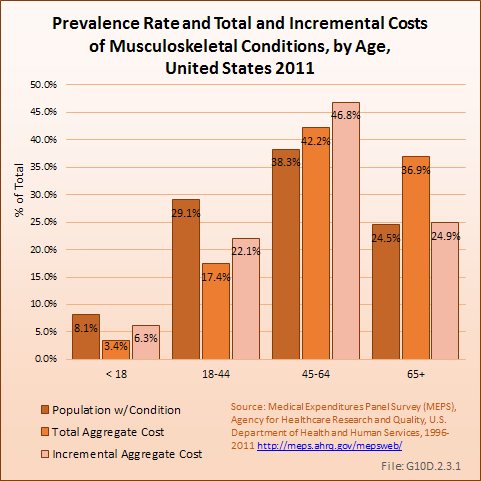 Using the more expansive definition of musculoskeletal diseases, in 2009 to 2011 there were an estimated 767.3 million visits to physicians among persons with these diseases, as well as 469.8 million ambulatory visits to providers other than physicians, 2.8 billion prescriptions filled, 438.4 million home care visits, and 15.7 million hospital discharges. 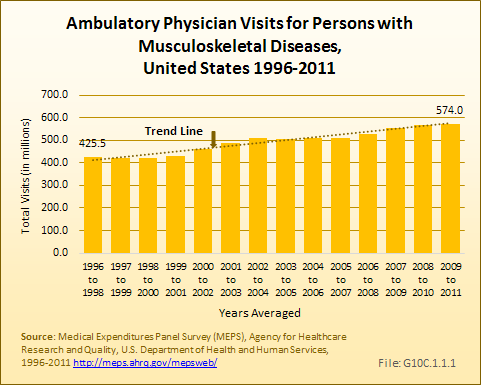 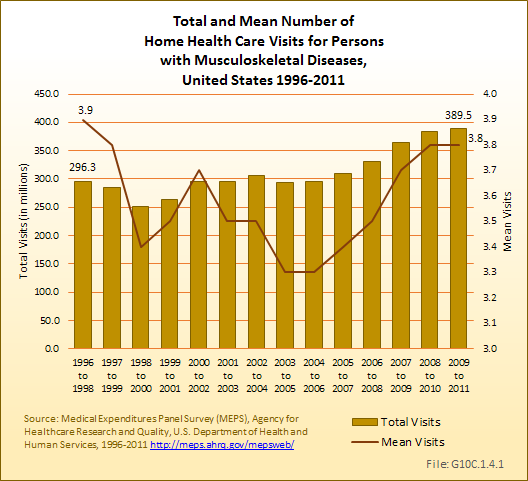 It should be noted that in this expansive definition, the number of ambulatory visits per person to providers other than physicians and the number of medications per person has risen dramatically. 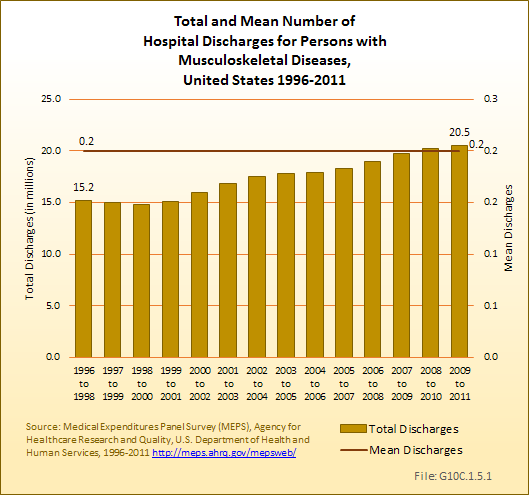 The number of hospital discharges per person and overall has declined, reflecting the increase in management of these conditions on an ambulatory basis.